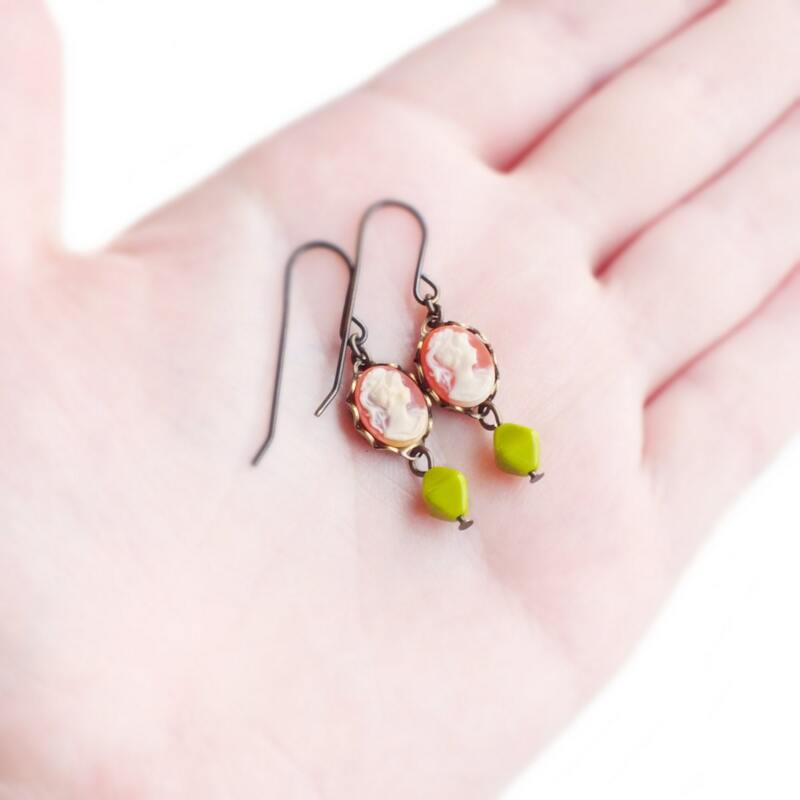 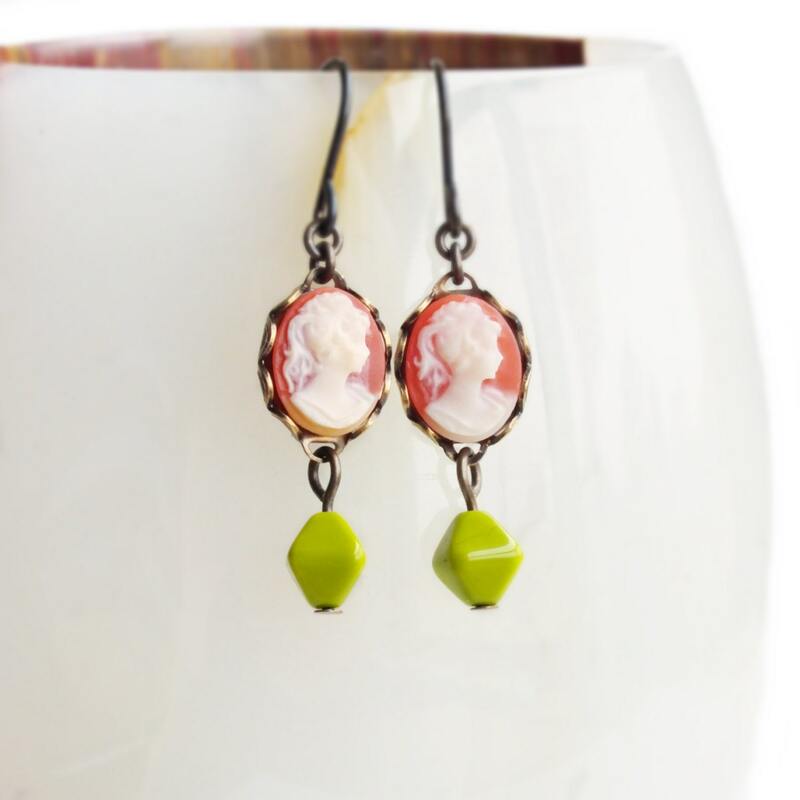 Handmade cameo earrings with small vintage coral resin cameos. 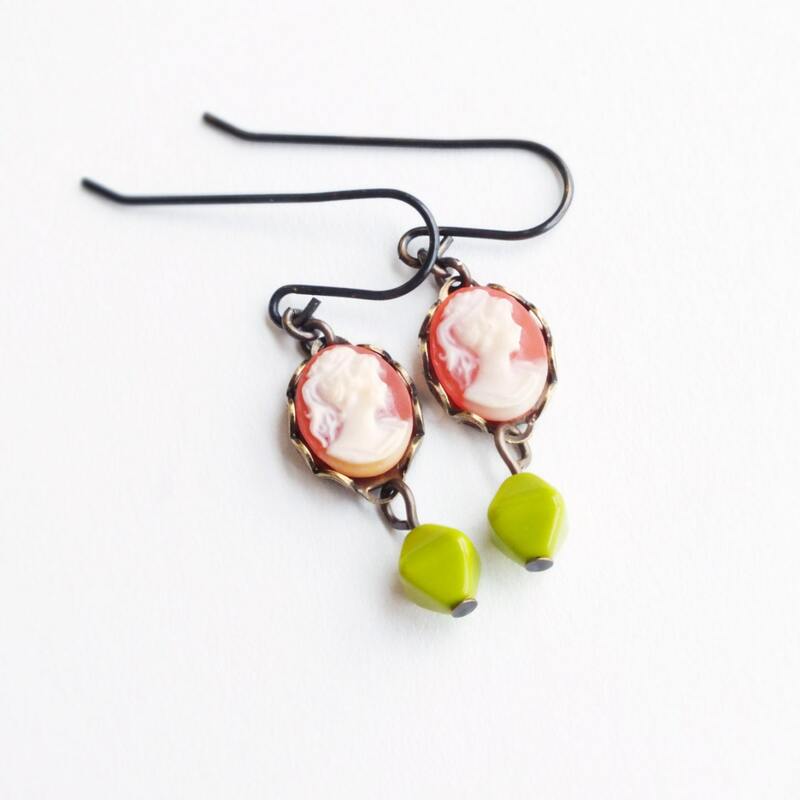 Genuine vintage resin cameos and glass beads. 1 1/2 inches - 3.8 cm long. 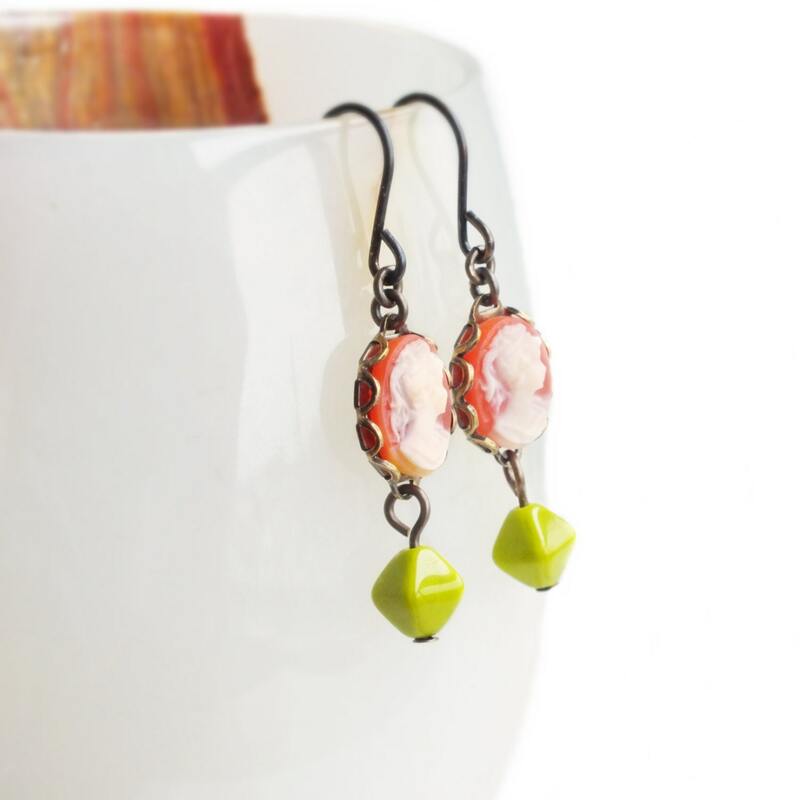 Made with genuine vintage coral colored resin portrait cameos set in lacy antiqued brass settings adorned with vintage olive green glass beads.